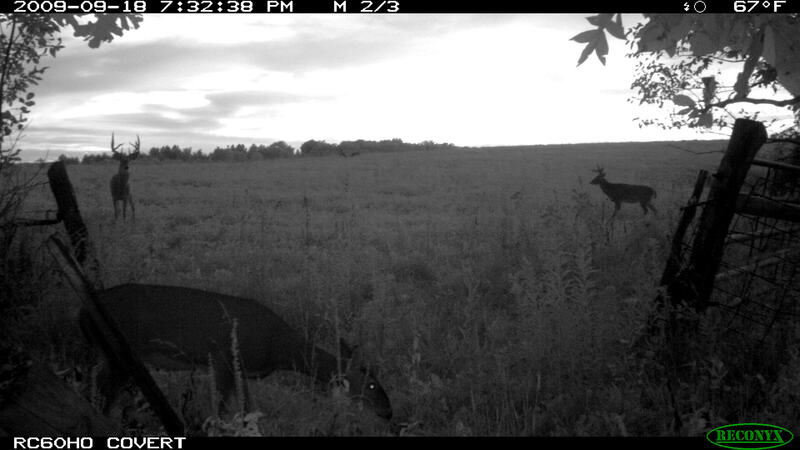 Any of you that watched last seasons Iowa show may remember the nice young 8 point that came in tried to get freaky with my decoy….well, I’ve had cameras out on that same farm and just got pics of that deer. 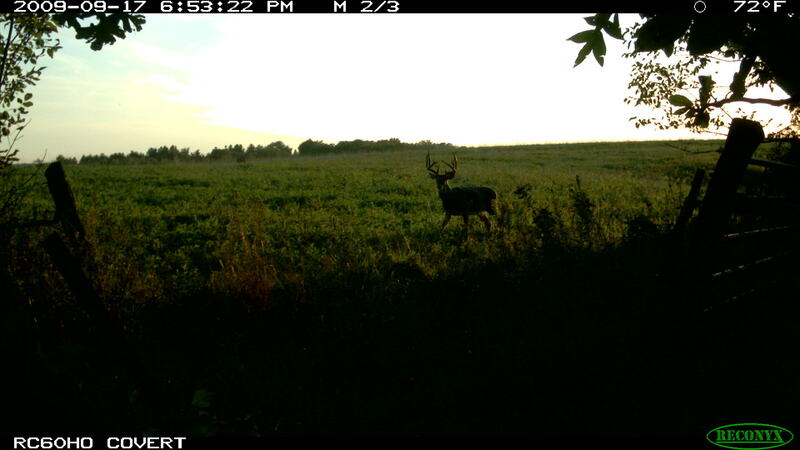 He’s put on a lot of mass, has the same long tine length and tight frame, but is a LOT better deer this year than last. Its really fun being able to watch a buck that we saw a lot last season and see the amount of antler he put on from 3 years old to 4. Cool stuff. His running mate is a good looking deer too! My first whitetail season as an Iowa resident starts Thursday! Safe and happy hunting everyone! – Jeff S.
Love the double throat patch on the big 8. The other buck seems to be mature too, check out the saggy belly on that thing. 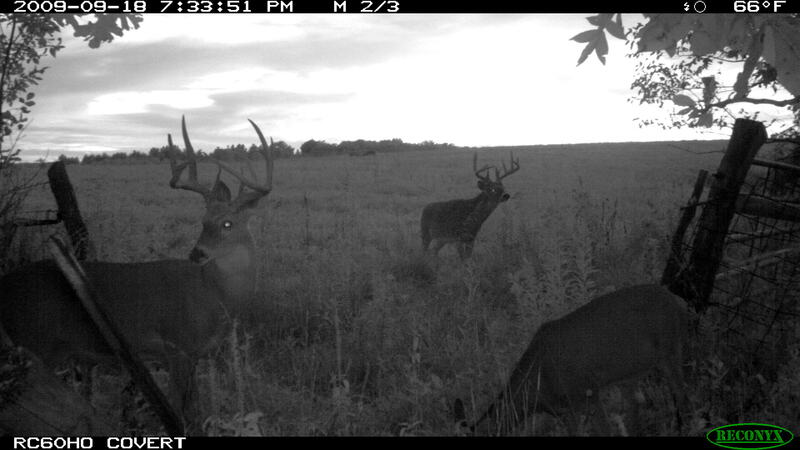 Awesome bucks… Hope you catch up with one on Thursday! Looks like tallboy part 2, very cool. Dang, he grew up quick! Just think, this time you won’t have to climb down at the most inappropriate time like you did last year. If he gets near your decoy, he’s dead. Good luck this season. LOL the episode could be called “queer deer part 2: deffending the honor of my decoy”.